Simon Critchley, in a wide-ranging interview in the New Statesman, discusses "theologically engaged atheism", Dawkins, Hitchens, John Gray, Obama, and what the future holds for Occupy. We cannot decide a priori that we're not going to engage with religious questions, nor can we decide a priori that religious questions are going to be the answers to philosophical or political issues. I accept not a scientific conception of the world - that is far too grand - but I think that scientists in their various fields are doing fairly well. Yet I don't think you can explain practices like mathematics on a naturalistic view of the world. Naturalism, underpinned by a progressivist notion of history, underwritten by evolution, is a dogma that our age suffers from. But I understand why people embrace it, because it seems to offer an answer to superstitious theodicy. Drawing connections between religion and politics, Critchley points out that while the "prophetic language" of political theodicy infiltrated Barack Obama's presidential campaign, it has been notably absent while he has been in office. He identifies an interesting connection between Obama's use of "prophectic language" and the relationship of this language to various forms of historical US radicalism that, "have always played on the connection between race and politics, in so far as that is mediated through a certain prophetic Christian tradition," and, "have been focused around forms of directly democratic organisation, often linked to religious communities." People could go off into the woods and do their own thing - there's a long tradition of that in the US. Or they could make their compromises with the Democratic Party, which is extremely difficult to imagine. Or, which is more likely, they could form a third party. Visit the New Statesman to read the interview in full. 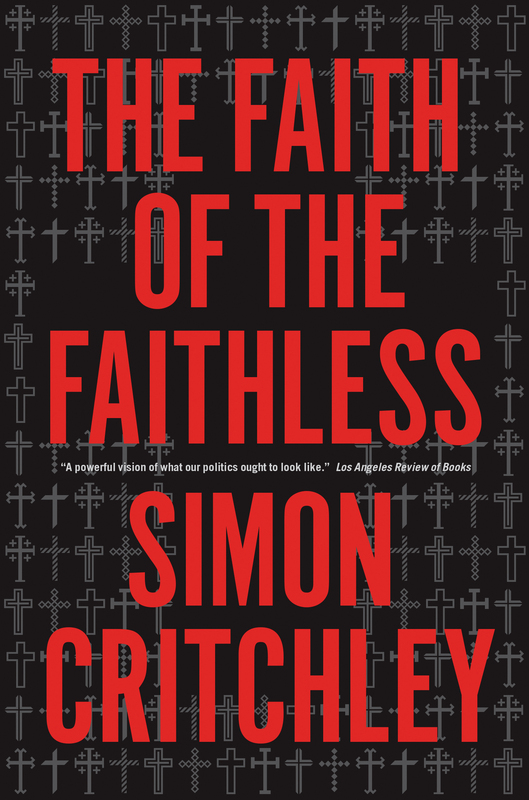 A series of experiments in political theology that tries to think through the dangerous intrication between politics, religion and violence that defines our so-called secular age and — without embracing any theism — find a meaning to the idea of faith, a belief for unbelievers. Visit Ready Steady Book to read the bibliography in full.